Appearance - Hazy (from the dry hopping) orange-amber. The beer produces a creamy white 2 finger head from a moderate pour that sinks to about 1 finger, but stays until the last sip. The carbonation looks pretty good and the head leaves a nice coat of lacing. Smell - Saturated with American hops, pine, orange and peach with some lightly toasty malt in the background. There is a bit of estery yeast aroma that mixes with the hops to add a light fruitiness. Taste - The same hop aromas are present in the taste along with an assertive bitterness, which never crosses over to being harsh or rough (a product of the clean Nugget hops used for bittering). The flavor is surprisingly well balanced for the style, hoppy and bitter but with enough malt to temper it. Despite the 88% apparent attenuation the beer still has some residual sweetness, US-56 often attenuates very well but seems to leave an impression of sweetness. Mouthfeel - Firm carbonation (thank goodness, this beer took forever to carb up), medium body. Drinkability/Notes - Pretty good for a Double IPA, but certainly not a light refreshing brew. This was brewed almost 3 months ago and its been in the bottle for almost 2 months, over that time it has lost some of its fresh hop aroma, but it is still in a tasty place. This is the primary style that is calling for me to get a home kegging system so I can force carbonate and throw some hops in the keg to keep that fresh hop aroma going. 3.00 oz. Nugget Whole 120 min. 1.00 oz. Simcoe Whole 70 min. 1.00 oz. Amarillo Gold Whole 45 min. 2.25 oz. Amarillo Gold Whole 0 min. 1.13 oz. Simcoe Whole 0 min. A second attempt at the fantastic double/triple IPA, hopefully will have that amazing aroma and drinkability that the original has. No colored crystal used to keep the beer really pale and dry. Using all whole leaf hops from fresh hops for the best possible aroma. For 9 gallons of mash water add, 4.5 g epsom salt, 1.5 g chalk, .75 g salt, 3 g CaCl and 5 g gypsum. Used 6 gallons of distilled water and 3 gallons of spring water. Added corn sugar with about 20 minutes left in the boil ended up losing more than expected to the hops. Final volume hit, but target gravity of 1.099 missed by quite a bit due to the amount of wort the hops absorbed. Big krausen within 4 hours, room around 75, first put a wet towel around the carboy then quickly dropped overnight to around 58. Krausen fell a bit, but strong fermentation continued. 1/18/07 1.010 (damn, 87.5% AA 9.4% abv) Still tastes pretty good, just a bit hot. 1/20/07 Transferred to secondary and added the second dry hop charge. 1/30/07 Still 1.010 (woohoo), Added 4th Dry hop charge, these would be serving tank hops in the original. Hoping to have the amarillo compete with the more pungent simcoe by upping the ratio. Eventually had to add fresh US-56 because the beer was not carbonating. My most recent IPA had an aroma nearly spot on with PtY (got to have them head-to head), but it was more PtE in terms of alcohol strength. It used Amarillo and Simcoe at the end of the boil (5 oz) and two 3 oz additions of dry hops (1 oz each Simcoe, Amarillo, Columbus). For malt I would go with ~85% Pale malt, 5% Carapils, and 10% corn sugar (by extract). Vinnie has said that he doesn't use colored crystal malts in it as he does in PtE. Aim for 1.100, but remember to calculate for the losses to hops (also remember to aim for low eff due to the high gravity). I would mash in the low 150s to ensure complete attenuation. I would add enough gypsum to get to ~150-200 ppm sulfate, that will help to accentuate the hop bitterness. If you have a lot of bicarb in your water you might also want to cut it with distilled since this is such a pale beer. go for 15 ml at 60 min since it is supposed to be a smoother bitterness than normal hops. Here is the rest of my boil schedule after bittering, seemed to work well. The flameout hops were added over a couple minutes post boil as the wort was chilling. 1.00 oz. Columbus (Pellet 11.00% AA) @ 45 min. 1.00 oz. Simcoe (Pellet 12.40% AA) @ 30 min. 3.00 oz. Amarillo (Pellet 8.60% AA) @ 0 min. 2.00 oz. Simcoe (Pellet 12.40% AA) @ 0 min. Ferment with American Ale (Vinnie uses WLP001). Vinnie suggests not pitching too many cells since they can uptake bitterness. Keep the fermentation cool, but let it get close to 70 at the end of fermentation to ensure complete attenuation. Actual PtY: Dry Hop Schedule (per Vinnie). I would do 1.5-2 oz total for each addition, whole hops only. He rouses with CO2 to keep them in suspension (probably not feasible at home unless you have a conical). I normally just put them in a stocking and weight it down with glass marbles to keep them submerged and make taking them out easier. Vinnie has stressed keeping yeast to a minimum while dry hopping, so you might want to crash cool and fine with gelatin before the first round. I would dry hop the first three rounds at room temp (another Vinnie recommendation). Then I would chill and force carb right after the keg hops are added. Make sure to keep oxidation to a minimum, double flush everything the beer touches post fermentation with CO2. 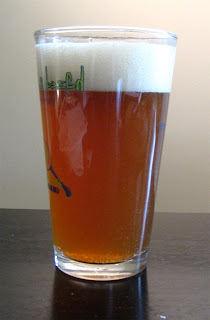 Late 2010 I finally put my own advice to use and brewed another attempt at a Pliny the Younger clone. 301 IBU(in theory)! Thats sick. I thought I had seen aggressive dryhopping schedules before but that is amazing. A quick note on your efficiencies, are you crushing your own grains? If so try and crank that mill down a bit. That and sparging with near boiling water. This beer certainly got a lot of hops... I just wonder that because the solubility of alpha acids in wort is around 100 there is any reason to add so much of a bittering charge. The Pliny the Elder recipe calculates out to around 300 IBUs as well, but lab tests but the actual beer around 80. Yeah I'm the proud owner of a barley crusher. Haven't played with the setting yet, but I should. 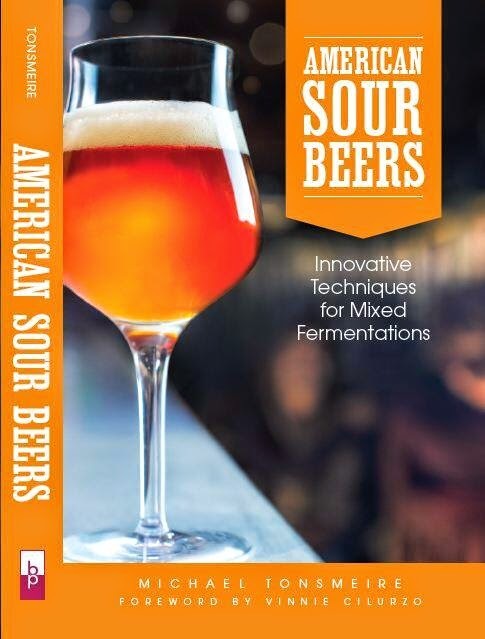 Everything I have heard about sparging with really hot water leads me to think that you risk extracting tannins (although it is apparently a standard practice among lambic brewers because they have enough time that the tannins settle out) I assume you have done it without negative results? In this case however I got pretty good mash efficiency for a big beer (78%), it was really a combination of the whole leafs absorbing nearly a gallon of wort and over sparging that killed me. My first version of this beer, which hit the gravity on the nose, was first runnings only (the second runnings were capped with carafa special to make a black IPA). Even given the 100 ibu ceiling Id be willing to bet that in a blind tasting people would be able to perceive the difference between a 100 ibu beer and a 300 ibu beer. I have done a single batch with the near boiling water (it was probably closer to 200) the grain bed didn't get much over 170, I will let you know if produces any negative results. I have tightened my Barley Crusher about 10 degrees which yield a gap of about .035 with pretty good results. Your mash efficiency is quite good for a large beer as you said so perhaps you dont have any issues. My efficiency was good on that one, but lately I've been battling the mid-60% blues. Both a 1.103 RIS and a 1.042 English Bitter hit between 63-65% last weekend. I used to get 75% plus on every batch, but since moving something has changed (the water is my only guess). Let me know how that hot sparge batch turns out. I try to do mash outs to get the grain bed up to the high 160's, but a batch as big as Pliny just doesn't have extra room in my 5 gallon mash/lauter tun for extra infusions.